I love avocados. I remember when I first read that they were actually good for you and you could get away with eating one a day. I was SO excited. I use them instead of butter in a sandwich; mash them on toast with a little lemon and garlic ; and use them as accompaniments to burgers, salads and eggy brunch type dishes as well as the constant tub of fresh guacamole – perfect for Mexican meals or as a savoury snack. The avocado is still getting great press with its multitude of health benefits. For starters, they contain high levels of vitamin E, iron and potassium. And though, unusually a fruit they contain fat, that fat is mainly the monosaturated type, which is said to help lower so-called “bad” cholesterol. And I read on the app Lifesum that they contain over 25 nutrients and are great for your skin and hair. In any case – I simply love them and as they are coming into season here in the Southern Hemisphere – now seems a great opportunity to share my #TOP 5 AVO IDEAS. I am not big on cooking the avocado – or roasting it – or even grilling it. Personally I think it is best fresh – as nature gives it to us……..so these ideas reflect my personal preference of keeping it raw. Remember that avocados must be allowed to ripen in a warm place before they’re used; speed up the process by wrapping them in a brown paper bag. To test ripeness, press the stem lightly with your index finger. If it feels slightly yielding, it’s ready to eat (if it sinks in too quickly then it’s over ripe :-(). Cut lengthways down to the stone and twist to separate the two halves. Pierce the stone carefully with a knife to embed the knife’s tip, then pull the stone out. Nowadays, we are also lucky enough to have the opportunity to buy premium avocado oils and I am a big fan of the Olivado product – made using NZ Hass avocados cold pressed at temperatures below 45°C. It is completely natural and can be used for drizzling, frying, as a dressing in itself or for making a delicious aioli. I have not been paid for this review – I only write about products I use and love myself – but I have had a generous donation of their avocado oils to give away to lucky readers via FB:Official Vanessa Baxter so follow the link and comment to win! 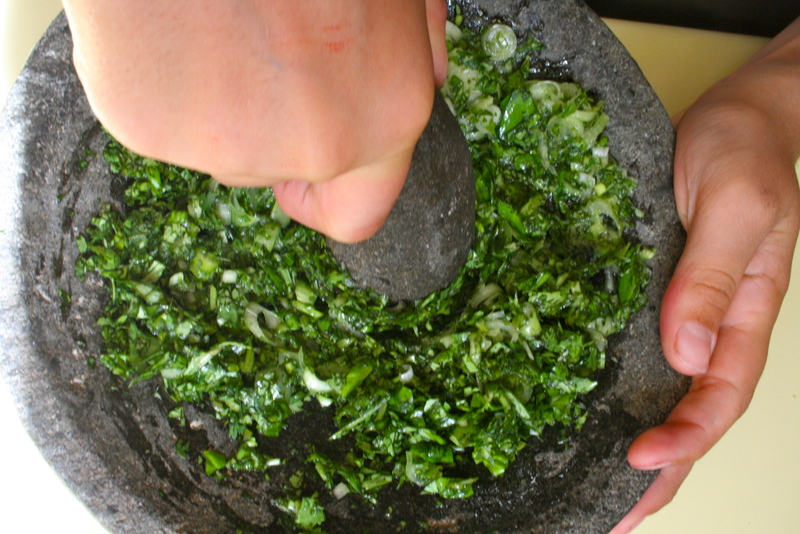 There is nothing like a good guacamole and I believe it has to be made freshly – not bought in a pre-made tub. 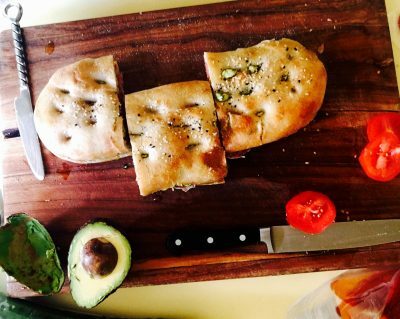 It relies on in season product so make the most of tomato and avocados when they are superbly ripe! Combine all of the avocado gently with the other ingredients, season to taste and serve to accompany a Mexican meal; or as an appetiser on grilled toasts; or as a dip with julienned vegetables and corn chips or a platter of prawns. An afternoon tea or brunch or a lazy weekend lunch dish – this is perfected with seasonal ingredients and timing. Get the eggs on as you grill the tomatoes. Finish off with a quick toasting of the bread whilst the eggs cool to handling stage. Pile everything on, drizzle with avocado oil and enjoy! Heat your grill (oven) to 200C. Bring a small pan of water to a rolling boil and slowly add the eggs. Set your timer to 5 minutes and 10 seconds. Toss the tomatoes in the avocado oil, season with sea salt and then put them onto a baking tray and place under the grill. Whilst the eggs are boiling and the tomatoes grilling, mash the avocado flesh with a fork, squeeze with a little lemon juice and add a pinch of sea salt. Cut horizontally through the pide and grill alongside (or after) the tomatoes. As soon as your timer goes off, remove the eggs from the water with a slotted spoon and plunge them into very cold water (plus ice) to stop them from cooking further. Remove the charred tomatoes and toasted pide from under the grill. Spread the avocado onto your toast. 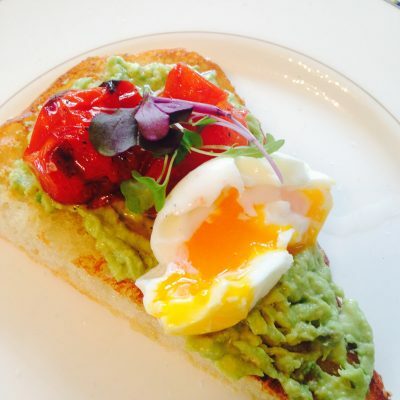 Carefully peel your egg and cut it open onto your toast and avocado, add your grilled tomatoes. Season and serve. This was inspired by an all-day breakfast dish I indulged in at a cafe in Bondi’s – Lox Stock and Barrel. I went to compliment the Chef, only to discover she was from Christchurch, NZ!! Her ‘bowlarama’ was a compilation of healthy brunch tastings from around the globe. My recipe is inspired by her avocado corner! Boil the farro for around 20 minutes, until tender, drain then set aside. Meanwhile, make the yoghurt sauce. Whisk all the ingredients together in a small bowl. Then chill until ready to use – the mix will keep for around three days in the fridge. I like to store it in a squeeze bottle ready for drizzling. In a small bowl, mix the barley, sprouts, cheese, almonds and salt together. Scoop into individual bowls and top with the avocado and a few generous drizzles of the yoghurt sauce. Sprinkle with salt and pepper and top with a few micro herbs, then serve. In a large bowl, combine the cherry tomatoes with a good pinch of sea salt and a decent drizzle of avocado oil and lime juice. Add the chopped veg and toss thoroughly. Add the avocado and an extra drizzle of oil and lime juice. Place the washed rice into a saucepan and cover with enough water that it reaches to the first knuckle of your index finger when you touch the top of the rice. Cover and bring to the boil. As it hits boiling point, reduce the heat to low so that the rice simmers and set the timer for 15 minutes. Turn off the heat after 15 minutes and leave the lid on to allow the rice to steam for several minutes. Meantime mix around 1/4 cup of rice vinegar, 1 tablespoons of sugar and 1 teaspoons of salt. Mix together in a small pan, on medium heat until all solids are mixed in. Take the lid off the rice and tip the rice onto a flat tray or baking sheet. Pour the vinegar mixture on rice and stir well. Let the rice cool down for a few minutes until it reaches room temperature. Julienne your carrot, cucumber and capsicum. You can lightly pickle these vegetables using 3 Tbs sugar to 1 Tbs salt and leaving for 10 minutes before resting. Alternatively, leave freshly chopped. Lightly fry a whisked egg to create an omelette – roll up and slice to create lengths of egg. Lightly fry triangles of nori to create crispy additions. Top with toasted sesame seeds and a freshly sliced avocado. Tips: Serve with extra nori paper and allow people to roll their own. Have wasabi, soy and mayonnaise on the side. Add tuna or salmon or grilled chicken to create a more substantial meal. I’m always looking for a good guacamole recipe, many don’t past the taste test and don’t get a rerun lol. The Best Guacamole Ever recipe looks like a darn goodie! Next Next post: Exhilaration and Exhaustion – same same but different!